There is nothing more exciting than taking a drone out and flying it around you. These remote controlled objects allow you to experience breathtaking views of your favorite landscape and to explore areas that are otherwise beyond your reach. While drones are commonly used for taking pictures and video, they aren’t limited to this. You can race drones, have in the air battles with them, or you can use them to take hide and seek to the next level. You are only limited by the possibilities of your mind and any local laws in place for these devices. You might be wondering what some if the better beginner models are. After all, there are hundreds of drones of the market. Some are a great value, while others will fall short of your needs. Take a moment to consider the following. 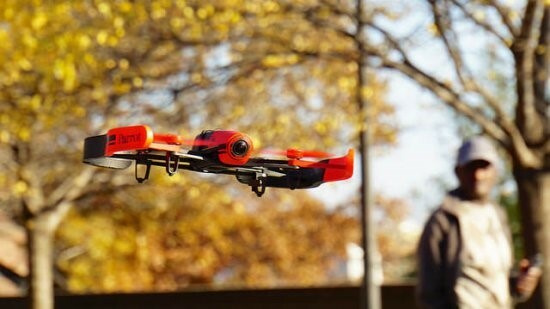 A powerful drone that is easy to use. The controls are responsive to the user and the 5.8 GHz composite allows you to capture breathtaking video. The 32 GB storage card allows you to save the video you are taking so you can easily transfer the date to your computer and watch the flight and to relive the excitement. When you’re considering trying drones for the first time, this is an exceptional choice. Worried about damaging your drone? This 2.4 GHz will let you do everything you want, without a devastating crash. The drone has 3 blades and is virtually crash proof. Use it to get used to flying a drone. When you’ve mastered the art with this unit, you can move on to the models that range in the thousands of dollars. You can get more tips here on the best drones for beginners. When flying any model of drone, it is important to pay attention to your surroundings. Telephone lines and trees can be problematic. Some models also have an incredibly limited range, so it is important you keep the unit within the areas that the manufacturer recommends. This can help you to avoid any unfortunate surprises along the way. There is no denying that drones are the future of photography and outdoor entertainment. Take the time to browse a few models and discover just how fun and exciting they can be. With new models that offer new features coming out all the time, you’re destined to have an experience that you’ll cherish for a lifetime.